Last edited by Naraku on Wed Jul 21, 2010 11:21 pm, edited 1 time in total. 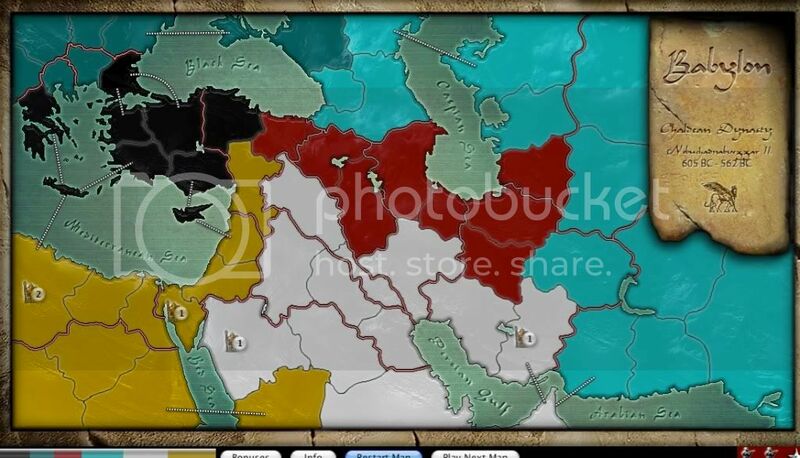 Had a look for a Mesopotamia map in the Lux files and couldn't find one so this may be the first. BABYLON is the name of the game - That much discussed super city which was the centre of Babylonia. 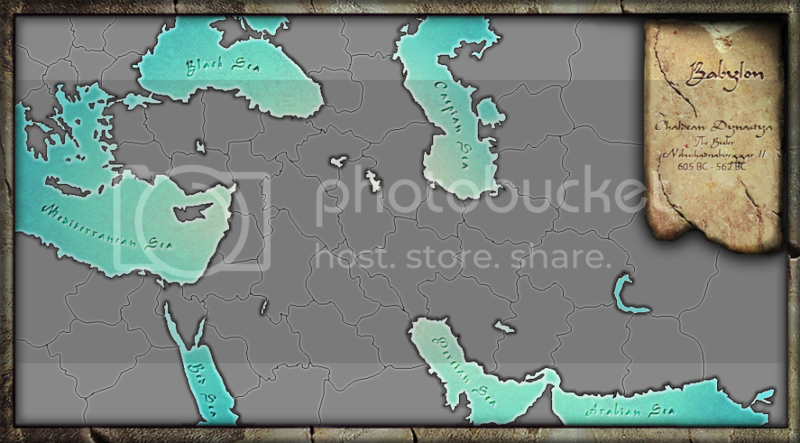 The map primarily looks at what is now the modern day middle east but also includes Asia Minor, Thrace, Greece and Egypt as they were thousands of years ago. It takes place between 600BC to mid 500 BC when the city and the empire were ruled by one of historys top ten bad guys - Nebuchadnezzar II. His name says it all. Last edited by Behemoth on Sat Jan 30, 2010 8:10 pm, edited 1 time in total. With a bit of luck this should be available for your warmongering soon. Last one for me for a while. Behemoth wrote: With a bit of luck this should be available for your warmongering soon. Last one for me for a while. Well I didn't use the words Sean Connery wished he'd never spoken. I've seen this odd looking map of the world appear in my web searches a few times. It's real name is the 'Hecataeus Map'. Anyway I liked the shape. I've tried to keep it simple and not to large. Here's what my version will look like. Last edited by Behemoth on Tue Feb 23, 2010 2:43 am, edited 1 time in total. Behemoth wrote: I've seen this odd looking map of the world appear in my web searches a few times. It's real name is the 'Hecataeus Map'. Why don't you call it "Imperium Romanum 520 BC"? Maybe it's just me but when I first looked at the original map i didn't recognize the location immediately... the circular shape seemed so abstract i thought for a moment it might be a fictional map. I'm hoping some of that 'oddness' is still evident in this version. Coming soon ( ) Where will you be when they ban you? Last edited by Naraku on Wed Jul 21, 2010 11:02 pm, edited 1 time in total. E.g. I was thinking of rotating it 90 degrees, it'll make it easier to play (larger) but also less familiar.... What do you guys/girls think? You're refining a style it looks good. Only thing I noticed was your lack of sea connections but I'm assuming they're yet to come. You may want to make it more distinct for playability. Maybe your 'connecting costal zones' note will suffice, i guess you'll have to see how it tests. In IIb I honestly can never remember if both Bithynia and Hellepontus connect to Constantinoplis... they look they they should but I'm always left wondering until I try. It's more than an idea now. It's in BETA.... So I started a new thread. Working on London if anyone would like to theme. Have overground file done to make River Thames look better. Need theme help on background if anyone is interested. I have the lux files and psd,png files as well I can get to you if you are interested. It is not the one that used to be on my website. I will put a new updated version of what I have done so far on my site. Zooming in on the USA. All states. The signs on the east coast help to enlarge some of the smaller states, like RI. Last edited by Lupus ferox on Sat Feb 27, 2010 5:49 am, edited 1 time in total. I've been toiling on a map of MesoAmerica for a while now and it's still not finished... but I did have a crack at a Rise of Sparta rewrite which I've been testing out today. 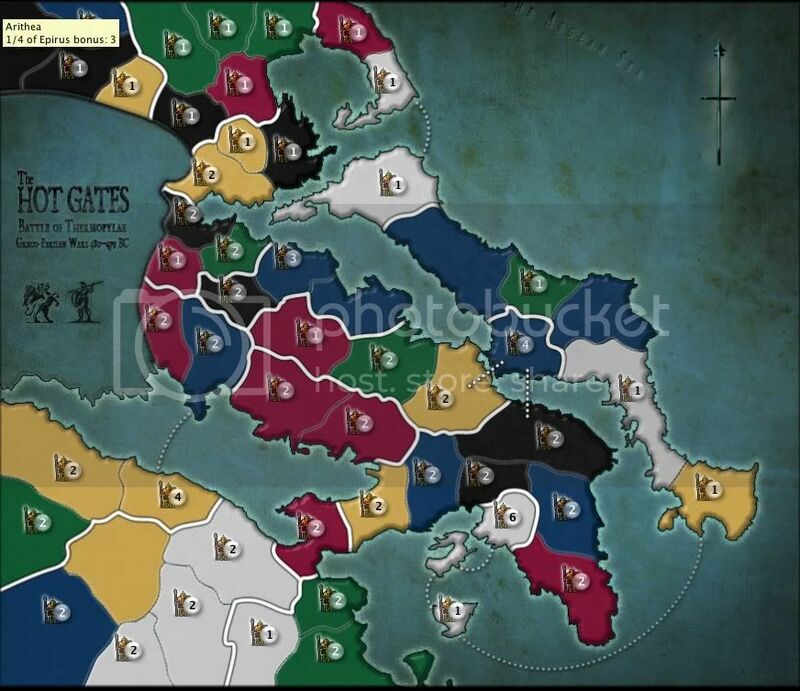 The map has 56 countries with 20 bonuses, including Sicily, it's neighbouring northern states and the single country bonus Syracuse. 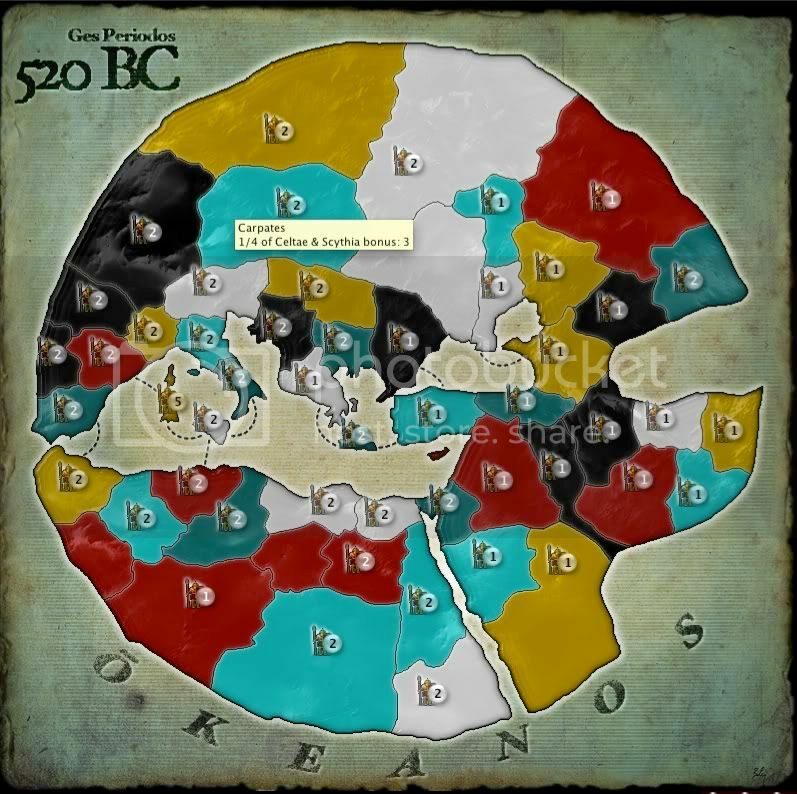 The Peloponnesian War was largely a naval battle and fighting took place on many of the small islands in the Aegean Sea and Sea of Crete, however I decided to remove the bulk of these Islands so connections over sea were clearer than in Rise and the overall design easier on the eye. I'm expecting this will make it easier to navigate than Rise, or at least quicker to learn. Should be coming to a Plugins Manager near you soon - any considered feedback is welcome. For anyone who might enjoy an occasional game of The Hot Gates offline I'd recommend you try this new version when it's out. It's smaller by three countries and has one new sea connection and some minor bonus changes. Main reason for the update was to simplify the design so a player might better focus on the gameplay. Tried and discovered It's been less than a week since I uploaded Athens. I'll have to wait until Lux lets me. If you are updating the version of an old map that shouldn't be a problem. It only prompts you with that message if you making a brand new submission under a different name. All up I did make quite a few changes - I was going to name it Redux and upload it as a whole new map... but you've convinced me otherwise. It's avail now as THE HOT GATES Version 1.3.